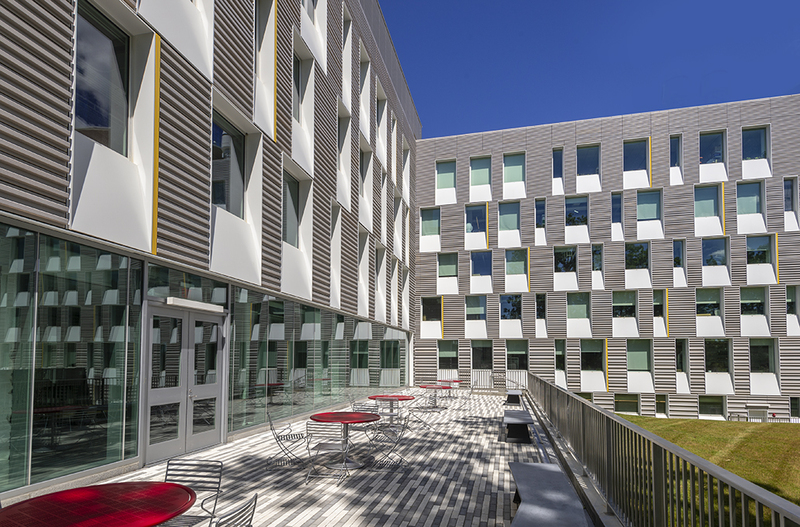 Originally built in 1956, Cornell University’s Upson Hall was upgraded to meet 21st Century standards for campus planning, learning and research environments, and energy performance. 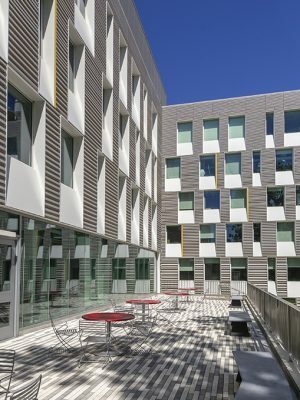 Approximately 29,000 square feet of finished assemblies consisting of Metalwërks®’ ornamental metal enclosures and Arcwall™ rainscreen panels were instrumental in transforming the 155,000 square-foot, LEED Platinum® structure into a thermally-efficient, aesthetically-forward, enriched hub for student learning and innovation. 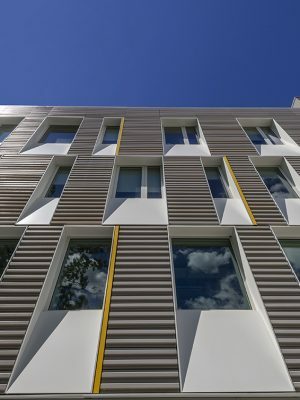 In total, Metalwërks provided approximately 85,000 lbs of aluminum for the building facade. 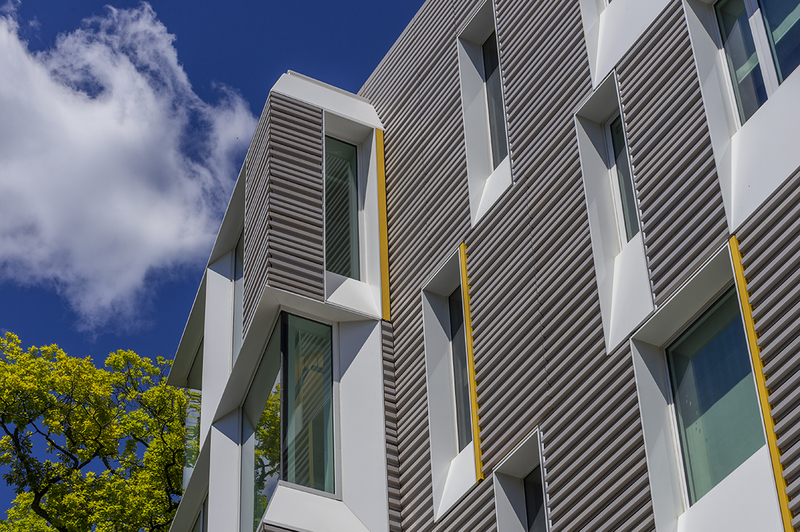 The company was responsible for providing ornamental surrounds for the windows, and Arcwall aluminum plate panel rainscreen for soffits, fascia, and coping. 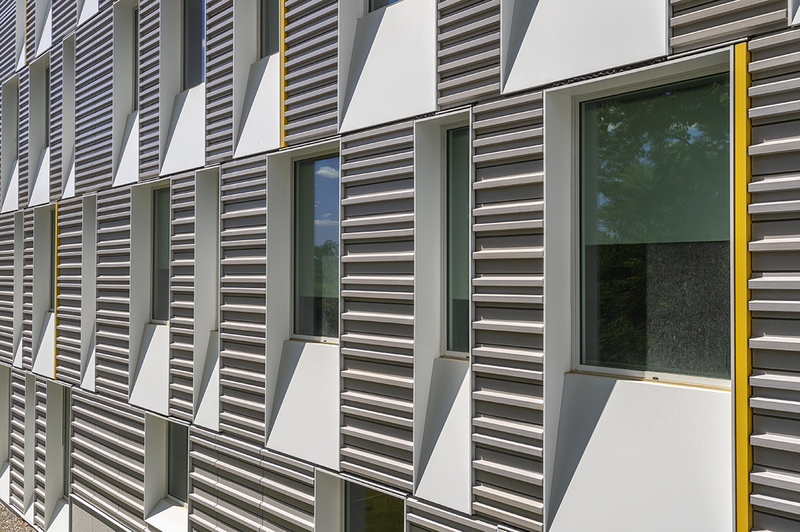 The coffered window surrounds helped the thick wall system transition gracefully to the deeply recessed windows creating a robust thermal barrier while simultaneously shading the daylight openings from excessive heat gain. 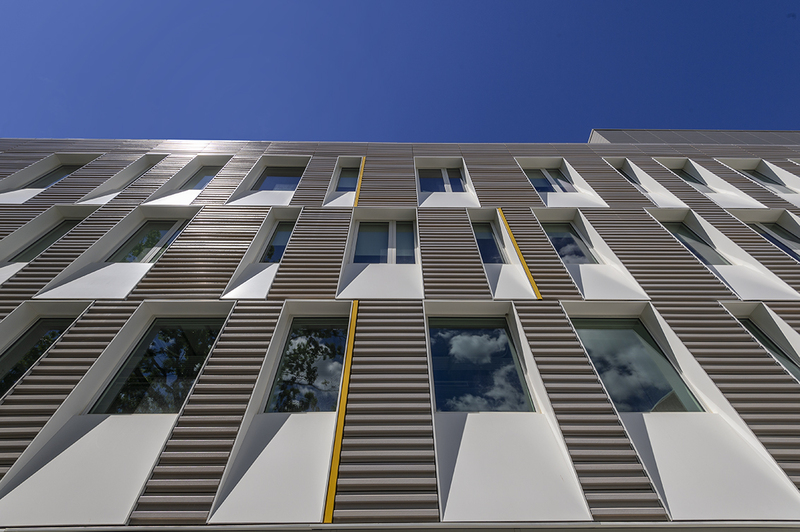 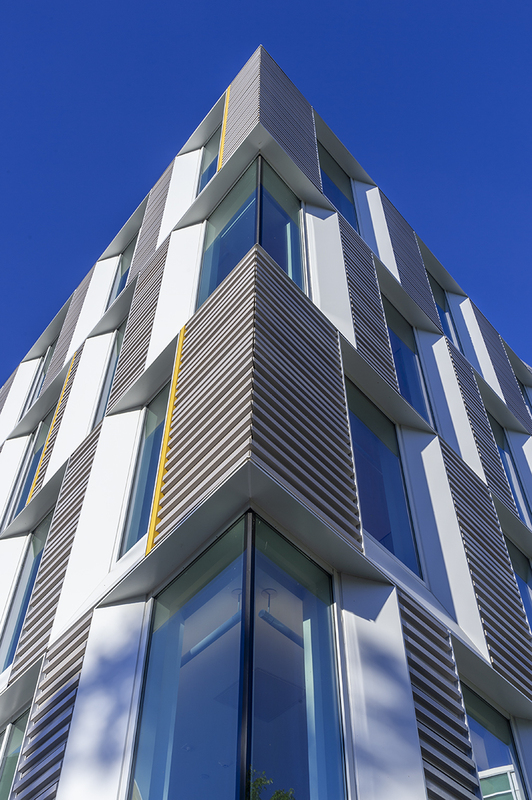 This thoughtful design enabled the façade to achieve above average thermal efficiency throughout the building. 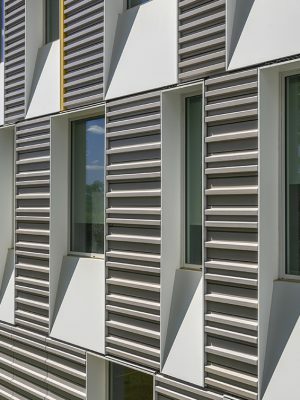 Architectural finishes for the windows, curtainwall, and panels was a 2-coat Bone White PVDF. 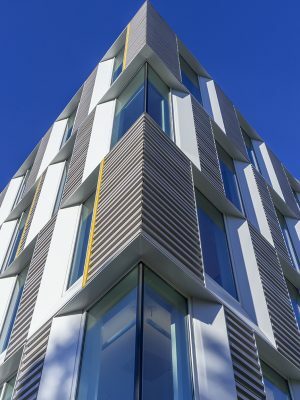 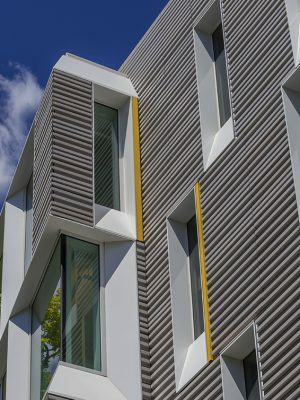 A 3-coat Bright Yellow accent trim was scattered throughout the façade — a detail that nodded to the building’s original façade, which featured yellow metal panels.